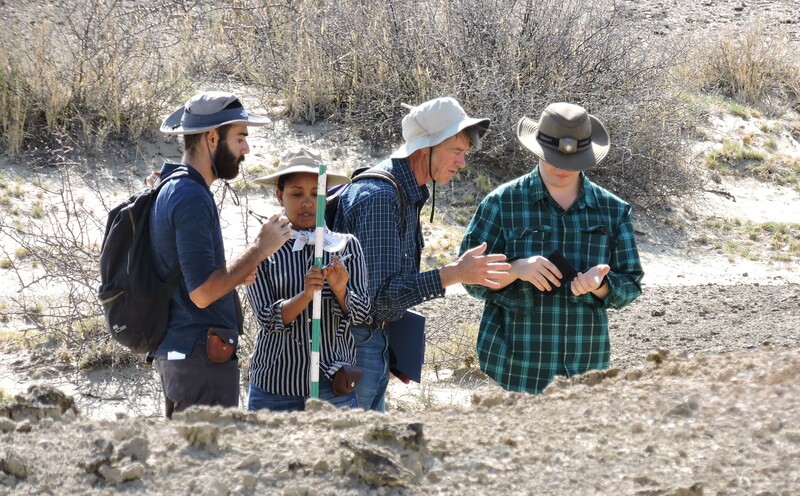 In the second week of the Geology module, we are deepening our understanding of stratigraphy with Dr. Christopher Lepre from Columbia University. 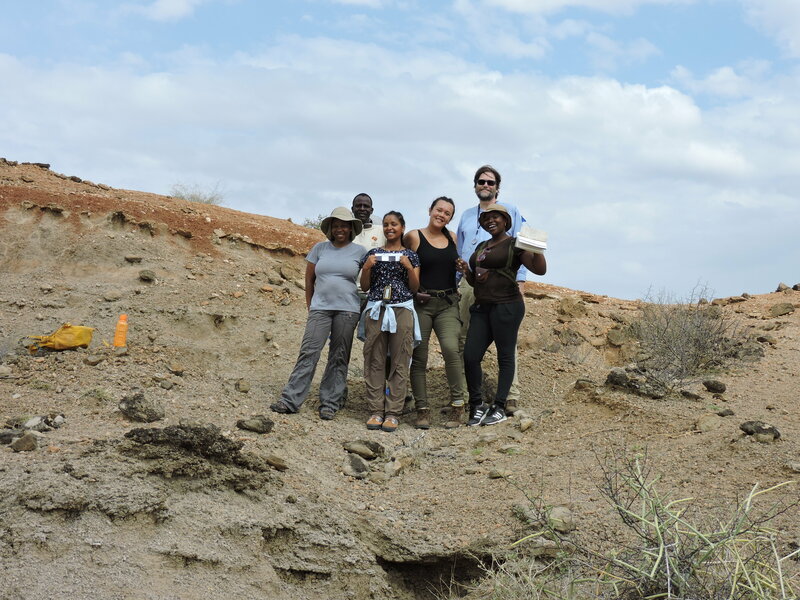 Stratigraphy is an integral component of geology in the Turkana Basin. 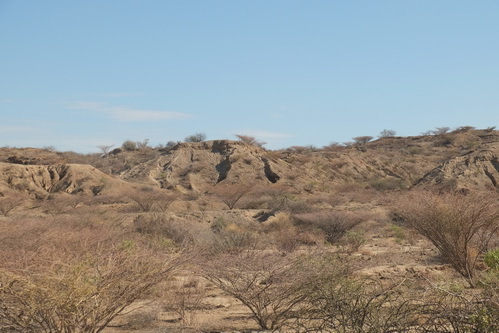 It is the relationship between layers of rocks or sediments, and one of the most important relationship is the law of superposition. 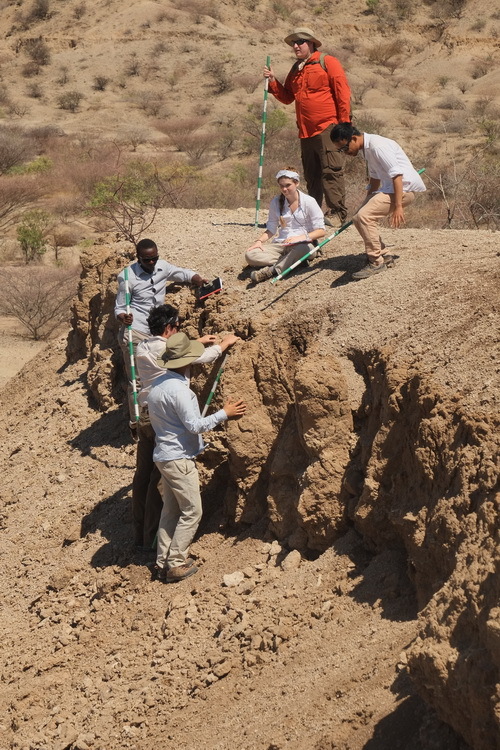 It dictates that strata at the top are always younger than the ones at the bottom. A good analogy would be a layer cake: you always start with the bottom layer and then up. Otherwise, the cake probably wouldn’t look as nice as it is meant to be. 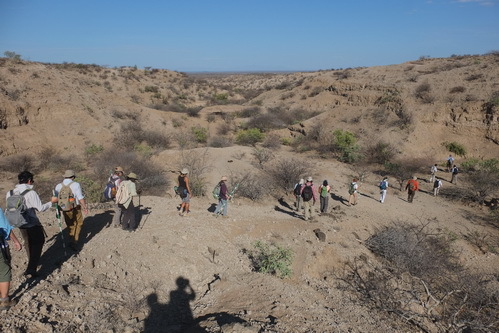 The sediments in the Turkana Basin were lay down in the same way: from the bottom up. 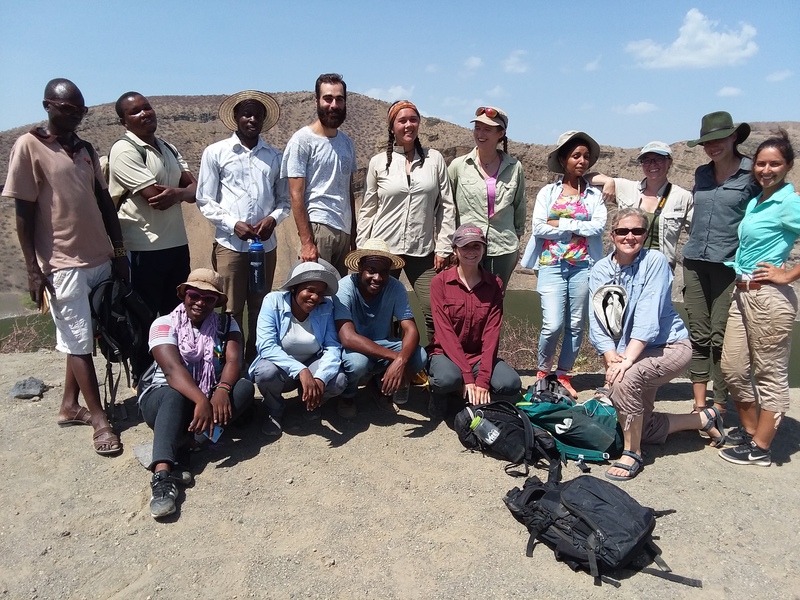 To put this into practice, we had a day out in Area 130 of the Koobi Fora region, which is known for many hominin fossils, accompanying fossil vertebrates and stone tools. Area 130 is to the Southeast of Ileret, about one and a half hours’ drive away. 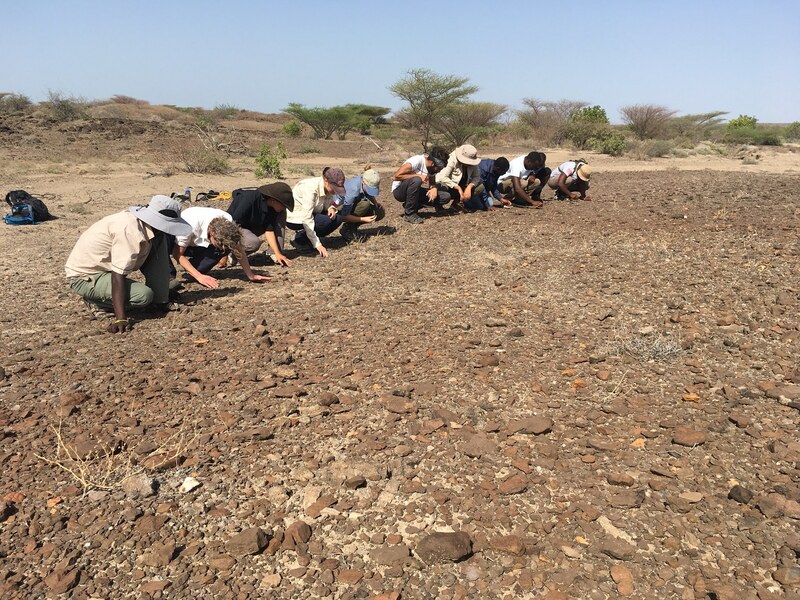 Together with Dr. Lepre, we started with the earlier exposure in Area 130: the KBS member of the Koobi Fora formation in East Turkana. 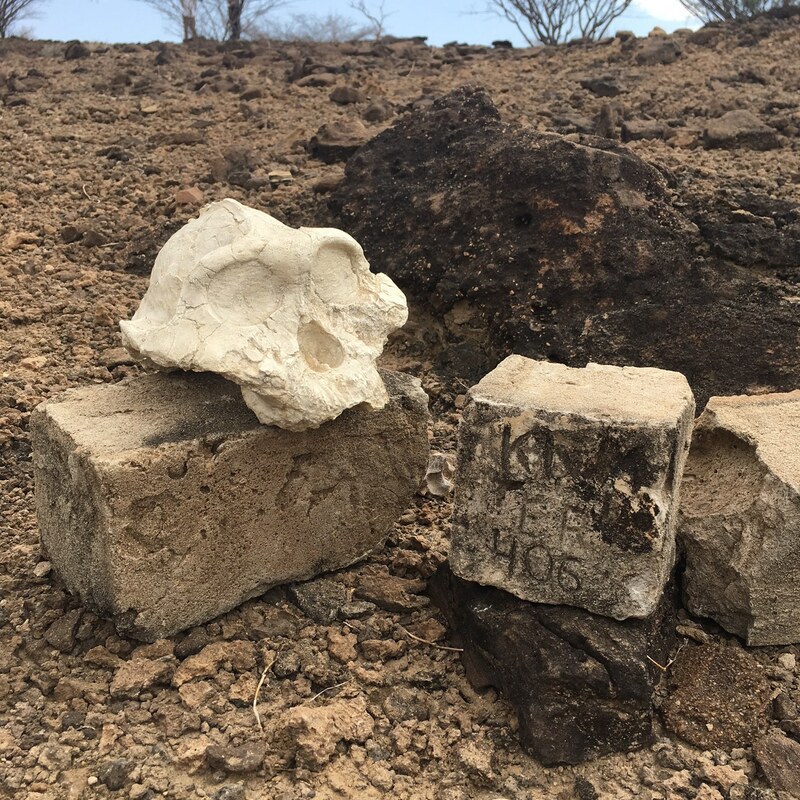 The KBS member starts with the KBS tuff: a layer of volcanic ash transported and deposited in the Basin about 1.87 million years ago. 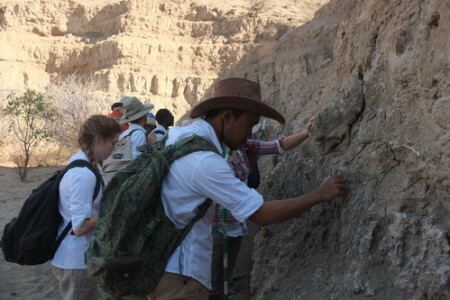 There are layers and layers of sediments above the KBS tuff until they are capped by the Okote tuffaceous complex: the bottom layer of the Okote member, which is about 1.6 million years old. 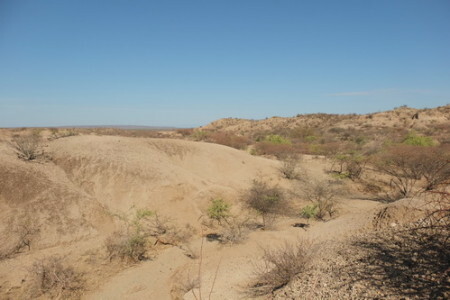 There are so many outcrops in Area 130 that it was possible to identify the same strata in different exposures and correlate them in terms of their geologic time. 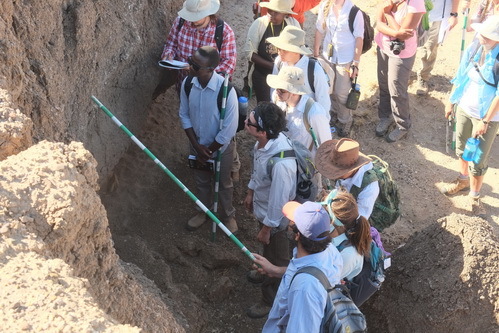 The exercise the students set out to do was to reconstruct the geologic sequence between the KBS Tuff and the Okote complex based on the multiple outcrops they saw. This sequence is essentially the entire KBS member represented in Area 130. It was not easy! Students had to identify what type of sediments there are, what features are associated with them and how thick the layers are. 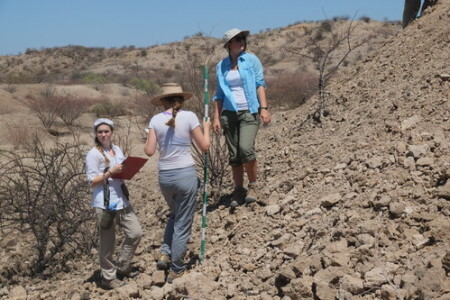 But they all did very well and accomplished the assignment successfully! On our way to the geologic exposures, we also visited an archeological sites in the KBS. 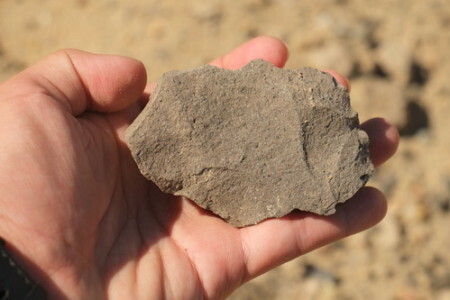 The site is dominated by a type of stone tool production known as the Advanced Oldowan industry, with a distinctive single-platform core also known as the “Karari scraper”. 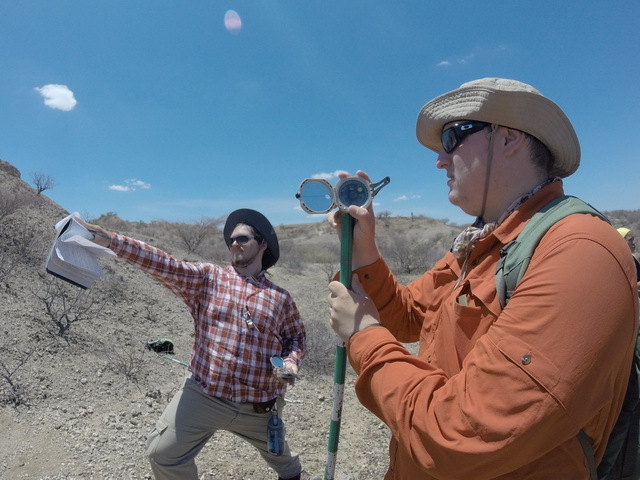 Dr. Lepre explained the historic background and significance of the site, where he did some of his early geologic research. 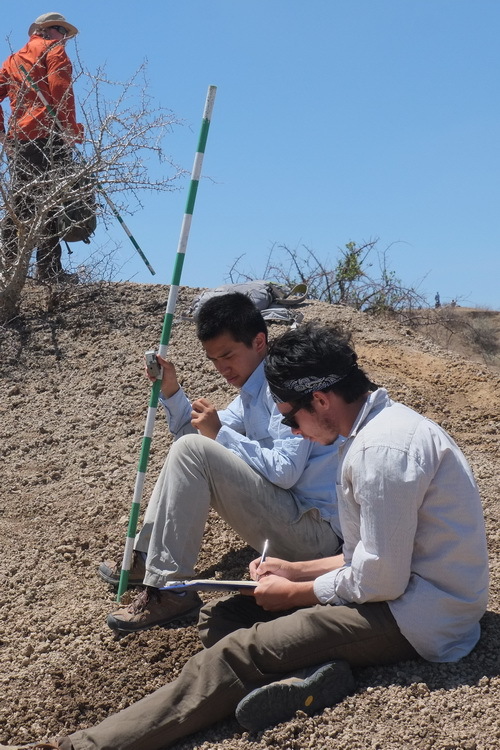 Now that we know what stratigraphic relationship is, the next step is how to get a radiometric date of a stratum and how we can interpret that. Stay tuned for more!